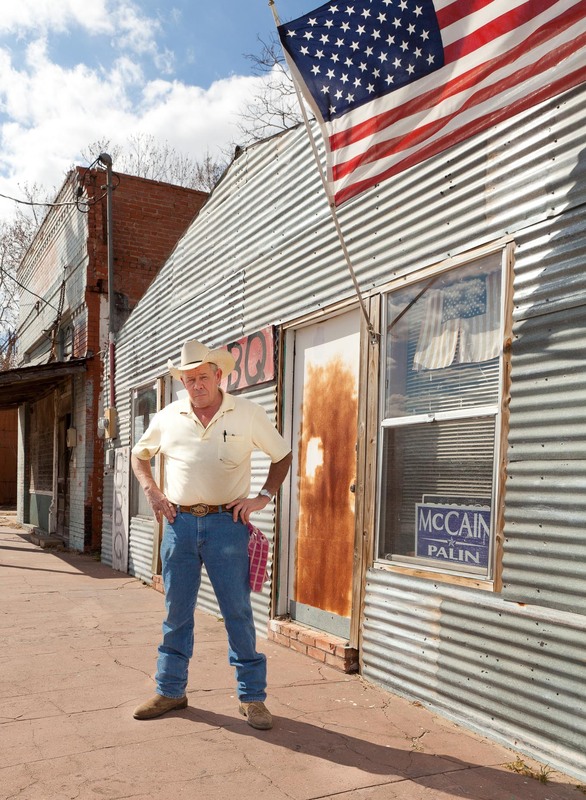 Man wearing cowboy hat standing in front fo BBQ restaurant with American flag. McCain/Palin campaign poster in window. Texas.